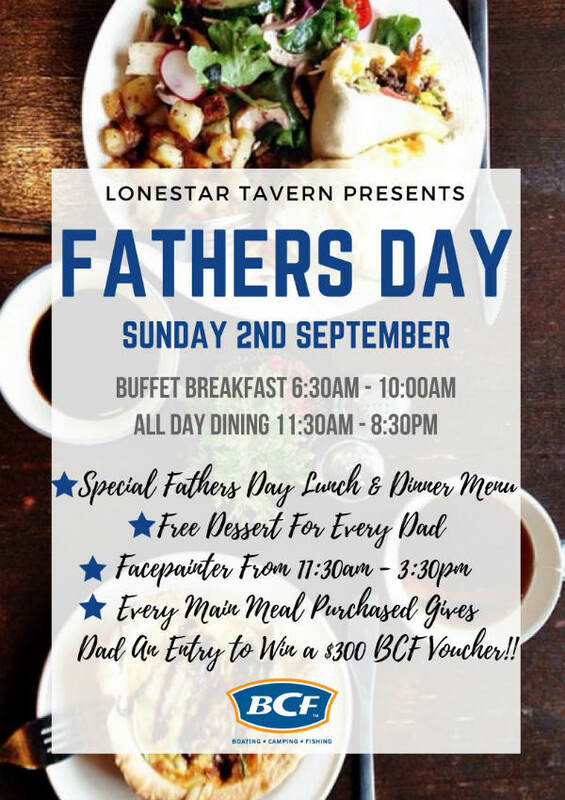 This Father’s Day treat Dad to breakfast, lunch or dinner at the Lonestar Tavern and to go in the draw to win a $300 BCF Voucher! There will also be a facepainter for the kids from 11:30am – 3:30pm, a special Fathers Day menu with loads of Dad style specials on offer as well as the jumping castle up for the kids. Just to make the day even better, every Dad gets a FREE dessert. Spoil your Dad rotten because he deserves it! Prize will be drawn Monday 3rd September and the winner will be contacted by phone.